First up is a nice and simple range play on Cable. 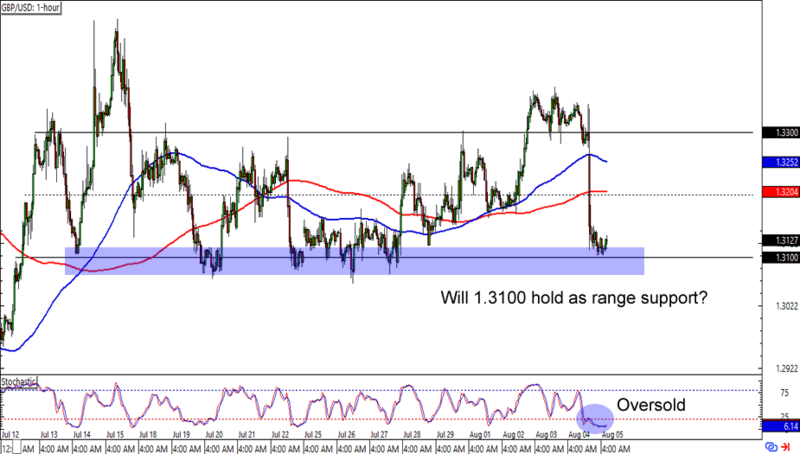 After falling by around 200 pips yesterday, the pair is now consolidating around the 1.3100 area. What makes the major psychological (MaPs) level interesting is that it also lines up with a range support on the 1-hour time frame. What’s more, stochastic is also chillin’ in the oversold territory. Think the pound is about to see some gains against the Greenback? Watch this one closely in case it bounces higher today! Here’s one for the dollar warriors out there! 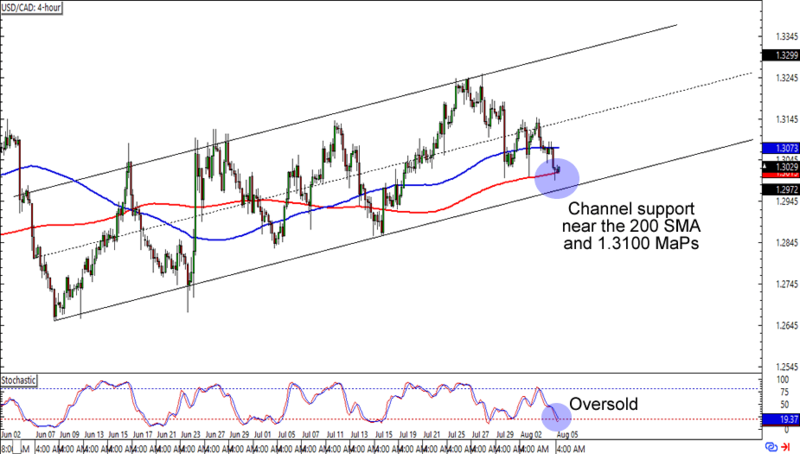 USD/CAD is having trouble breaking below the 1.3000 MaPs, which is right smack at the 200 SMA on the 4-hour time frame. Of course, it also doesn’t hurt that the area is just above a rising channel support on the chart. The cherry on top of this bullish sundae is an almost oversold stochastic signal. A long trade at current levels could make for a good trade especially if you think that the dollar will go back to its previous highs against the Loonie. Retracement traders huddle up! 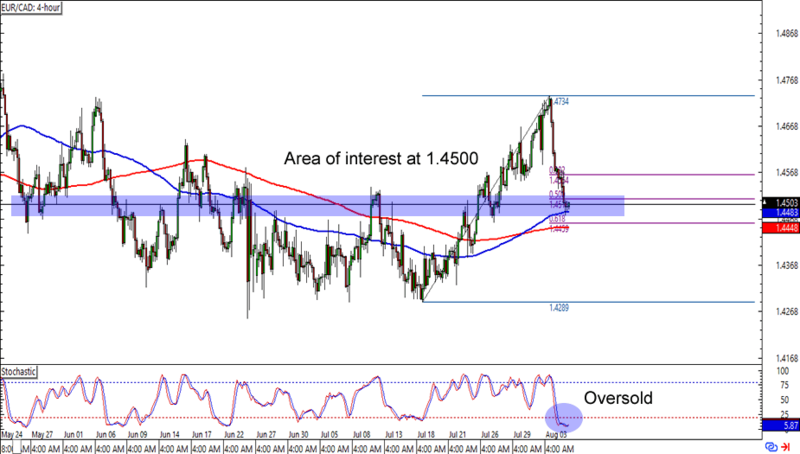 EUR/CAD is currently testing the 1.4500 MaPs, which lines up with not only the 50% Fib, but also a major area of interest on the 4-hour time frame. What’s more, stochastic is currently sporting an oversold signal. Will the euro soon see a bounce against the Loonie? Buying at current levels could give you a good reward-to-risk ratio especially if you aim for the previous highs. Of course, you can also wait for a break below the Fibs and the SMAs and aim for the previous lows if you think that the Loonie isn’t done charging higher just yet.